And here's the other Delannoy plaque to go with the one on the site. This silvered metal medal is by Maurice Delannoy and depicts a man in profile holding the muzzle of a horse. The medal is signed M Delannoy. 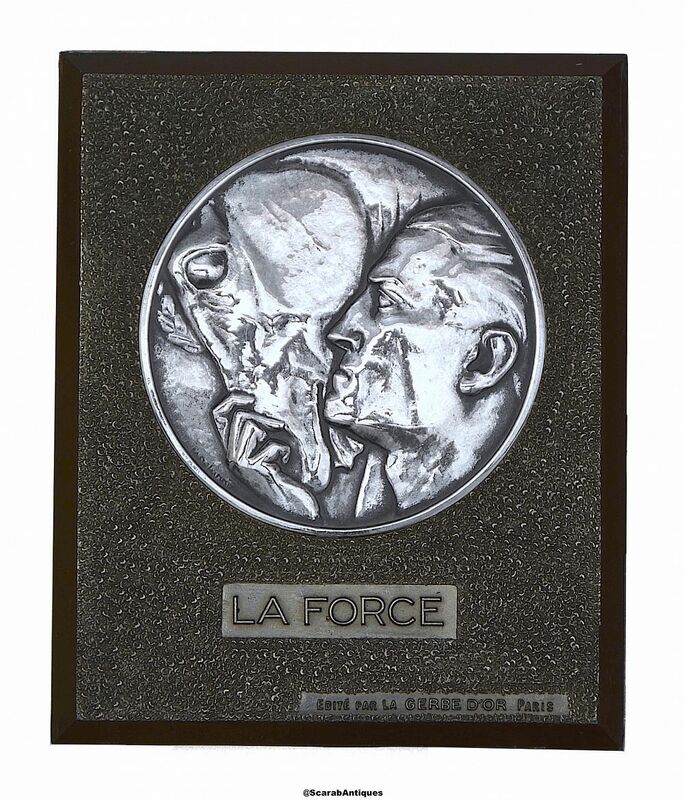 The medal is fastened to a rectangular red/brown coloured bakelite plaque that has the words "La Force" embossed below the medal and the words "Edite par La Gerbe d'Or Paris". The bakelite plaque has a triangular metal hook on the rear to enable it to be hung on the wall.